Luton Town and Sheffield Wednesday face each other at Kenilworth Road-Stadium in the FA Cup replay. The two teams played out a goalless draw at legendary Hillsborough Stadium and yet another close encounter is on the cards. 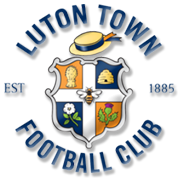 Luton are enjoying a very successful season, with the team sitting in second position in the League One table ahead of Tuesday’s football game. The League One side played out a 1-1 draw with fellow promotion-chasing team Sunderland at the weekend, with the team extending their unbeaten run in all competitions to nine games. The Owls, on the other hand, experienced all sorts of problems at the back in a 3-0 loss to Hull City and we predict that they are going to return home empty-handed from the trip to Bedfordshire. Taking everything into account, we believe that there is a big value in betting on the Hatters. Sam Hutchinson is a defender who is capable of playing as both right and centre back. The English footballer, who was born on 3 August, 1989 is capable of playing as a defensive midfielder as well, but he doesn’t score too many goals. Hutchinson was born in Windsor, Berkshire and he began his youth career at Chelsea. The defender made just five appearances for Chelsea and it has to be noted that he played on loan at Nottingham Forest, Vitesse and Sheffield Wednesday. On 23 May 2014 Chelsea released him, meaning that he was available for free transfer. Hutchinson signed a permanent deal with the Owls on 8 July, 2014. The 182-cm-tall defender played 25 games for Sheffield Wednesday in the 2015/2016 Championship campaign, but he did not find the net for the Hillsborough outfit. Sam Hutchinson is married to Jennifer, who gave birth to their daughter. His father Eddie Hutchinson had a career in non-League football.